The Award winning Ardcarne Garden Centre is located off the N4 between Boyle and Carrick-on-Shannon. Enjoy lunch in the Ardcarne Garden Cafe, the children can play in the garden playground. The Douglas Hyde Centre is dedicated to the first president of Ireland, Dr. Douglas Hyde. Douglas Hyde had a great love of the Irish language.Hyde's publications were acknowledged by W.B Yeats as major sources in the Irish Literary Renaissance. King House is a magnificently restored Georgian mansion located in Boyle, Co. Roscommon. Built in 1730 as the seat of the King family. The house later became a military barracks and recruiting depot for the Connaught Rangers. Boyle Pleasure Grounds is overlooked by the historic King House and is located in Boyle town. It is a place where you can sit and rest, watch a game of soccer on the all-weather pitch, let the children play in the enclosed safe playground, or walk along by Boyle River. Tullyboy Farm is a working visitor farm set around a Georgian Farmhouse and its original buildings with mature trees and lake views. It is situated on the Roscommon and Leitrim border between Boyle and Carrick on Shannon. There is lots to do at Tullyboy Farm with fun and educational activities for families and groups. Arigna Mining Experience was developed to preserve the heritage of the Arigna Valley. A unique experience awaits you at the mines, you get to accompany an ex-miner & hear their story of life in the mine. Lough Gara Riding Stables and Country Pursuits offer horse riding and other country pursuits in an idyllic setting in County Sligo. Activities include; Horse Riding, Clay Pigeon Shooting, Falconry, Boating Trips and Archery. 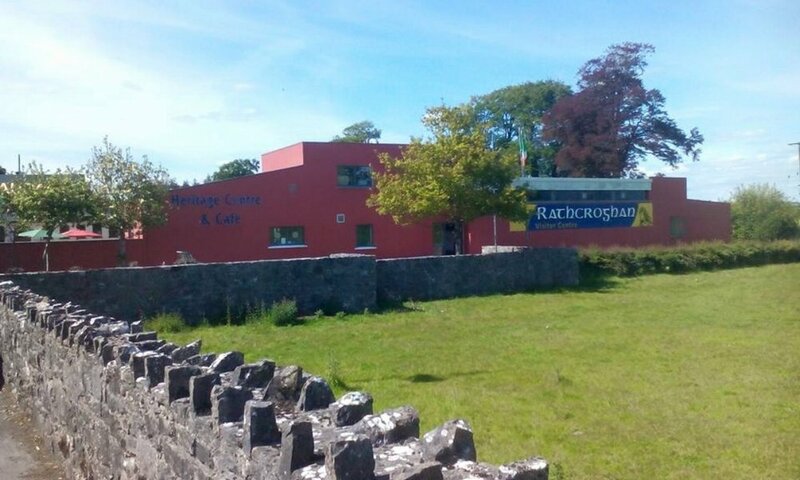 Rathcroghan Visitor Centre is located in the medieval village of Tulsk, within the royal complex of Cruachan, the oldest and largest unexcavated Royal Complex in Europe. Rathcroghan is the location for over 240 identified archaeological sites, 60 National Monuments, and is the ancient capital of Connacht. The BRIDGESTONE AWARD WINNING Courtyard Market provides the finest array of Artisan Food, Craft and Organic Produce. The market is set in the charming grounds of King House in the heart of the historic town of Boyle. Visitors may also enjoy a browse around Boyle Craft Shop located beside stocking lots of local crafts. Derryglad Museum is a hidden gem in Curraghboy, south Roscommon. The museum is privately owned by the Finneran family. It gives a glimpse into Irish farming and folk life from the 18th century to the recent past. The perfect family day out is waiting for you at Glendeer Pet Farm. Feed and cuddle the little animals. Have fun in our playground and enjoy lunch in our picnic area. Open March 17th to Sept 30th Mon – Sat: 11am to 6pm, Sunday: 12pm to 6pm. There is something for everyone in Lough Key Forest Park.Activities include Boda Borg, the Lough Key Experience, exploring the historical estate, Adventure Play Kingdom, Woodland Segway and Electric Bike Trails. Strokestown Park House & Gardens, is in Strokestown, Co. Roscommon. The estate is made up of a Georgian Palladian mansion with its original furnishings, the National Famine Museum and Victorian walled gardens that have been restored to their former glory.